Prime Minister Binyamin Netanyahu’s comments regarding the role of the Mufti of Jerusalem, Haj Amin Al Husseini, in the Holocaust have a basis in history, Dr. Edy Cohen of the Department of Middle Eastern Studies at the Bar-Ilan University told Arutz Sheva on Sunday. Dr. Cohen is currently completing a book entitled “The Mufti and the Jews - the War of Haj Amin Al Husseini against the Jews of the World”. 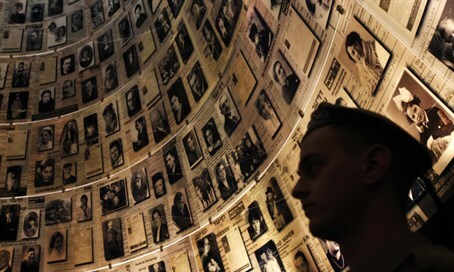 Dr. Yosef Sharvit, a historian of the Jewish History and Contemporary Judaism department at Bar-Ilan University, also said that Netanyahu's statement was important in setting things in order regarding the history of the Holocaust. "Aside from the inaccuracies, I think that thanks to Netanyahu's words we come out of this with a benefit, because he dealt with the centrality of the mufti who for some reason has been taken off the historical stage in everything related to the Holocaust," Sharvit told Arutz Sheva on Friday. "When Haj Amin al-Husseini met Hitler in November 1941, he told him that there's a stark similarity between Nazism and Islam," explained Sharvit. "Husseini was responsible for establishing SS units in the Balkans. He was friendly with senior SS commanders, and was responsible for Berlin Radio broadcasts in all the Islamic lands." "His Berlin Radio broadcasts would always end by calling to slaughter the Jews. He also was among the initiators of the final solution for Jews in the land of Israel, and if (senior Nazi commander) Erwin Rommel would have G-d forbid reached Israel, Haj Amin al-Husseini had a detailed plan to destroy the Jewish community."